Does it get any better than this? Imagine living in this world-renowned destination! 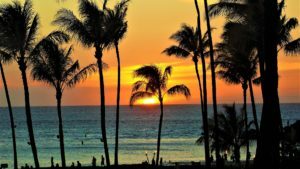 Hawaii is home to ancient culture, beautiful tropical beaches, traditional entertainment, and for the adventurous, some of the world’s best surfing and other water activities. From volcanoes to rainforests to waterfalls, Hawaii has it all.